Ten days into Advent and here at the Rambling Brick, we continue our investigation of ways that the LEGO® sets have been used to specifically celebrate the Christmas Holiday season, in light of this being the 20th anniversary of the first LEGO Advent Calendar. Today, I thought we would take a quick look at the Christmas Build Up sets – 40222 and 40235, seen in 2016 and 2017 respectively. Both sets have a range of about 250 elements, and were available as gifts with purchase from shop.lego.com and LEGO Brand Retail stores of their respective years. 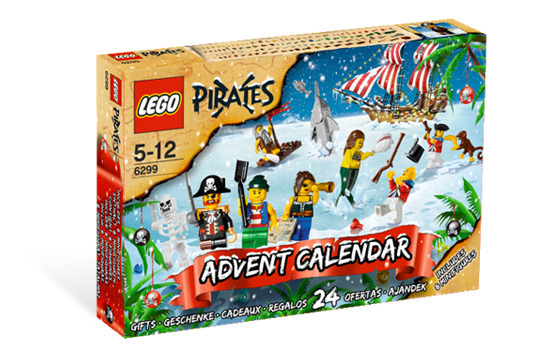 These sets involved a series of Advent builds (24 in total), but unlike the standard Advent Calendars, the expectation is that each day’s model would be dismantled before attempting to construct the new one. Most of the elements are readily available. Today we continue our Advent-ure: 2018 is the 20th anniversary of the first LEGO Advent Calendar, which appeared in 1998. In our the Rambling Brick’s Advent-ure, we travel through the years looking at different sets and themes which have been used over the years to celebrate the Christmas Holiday Season. And then, you can follow down to see what our Friends have in store in their Advent Calendar today. Today, let us take a look at the Nutcracker 40254, distributed as a gift with purchase during Brick Friday 2017. Nutcracker dolls originated in Germany in the seventeenth century, and became associated with Christmas through Hoffman’s story “The Mouse and the Nutcracker” which is set around the time of a household Christmas Party. The story was popularised through Tchaikovsky’s ballet adaptation, which has become a seasonal favourite over the year. The set has two hundred and thirty parts, and features an opening and closing jawbone, operated through a lever on its back. As a relatively recent set, it should not set you back too much on the secondary market. This version of the nutcracker makes great use of the warm gold/ pearl gold highlights. The build was simple, and made good use of warm gold jumper plates. This was not the only Nutcracker model released in 2017, with the annual staff gift also depicting a much taller nutcracker. I quite like this set: it is small and effective, and achieved its goal of causing me to purchase a significant amount of LEGO at the time of the year. What Are Our Friends Up To?